Occasionally, you come across an unexpected treasure. Anticipating a fleeting look around the Bainbridge Art Museum with the children in tow, I was pleased when the assistant greeted the children warmly and entrusted them with a task. 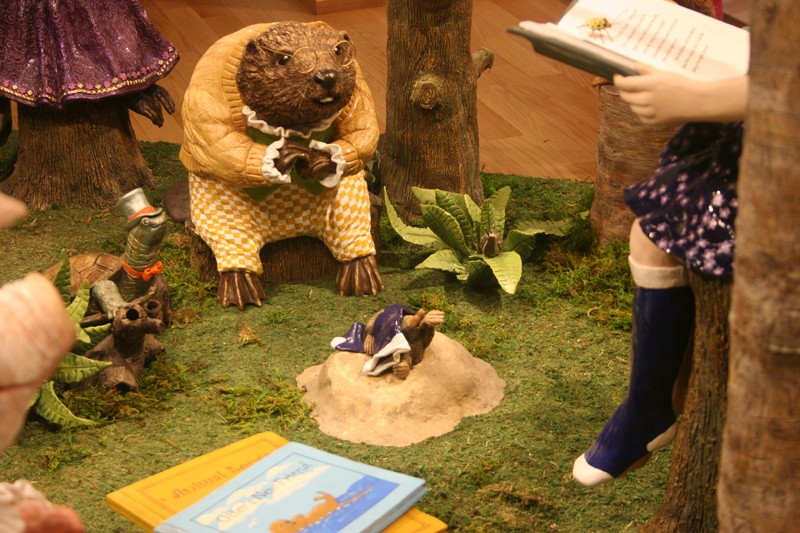 The children were given a list of thirty animals that were hidden in Nancy Thorne Chambers’ ceramic installation ‘A Story Place’. If they could find them all, they would be rewarded with a special prize. Motivated by the prize at hand they made their way to the exhibit. They worked together to find the life-sized animals , studying every angle of the exhibit. They were captivated by the detail and wondered how something so delicate was made and transported to the museum. The animals are reminiscent of Beatrix Potter characters and took me back to my childhood passion for those stories. My favourite piece was the mole wrapped up in the girl’s sock and the children loved the girl and boy mouse, huddled together with their tiny tea tray. 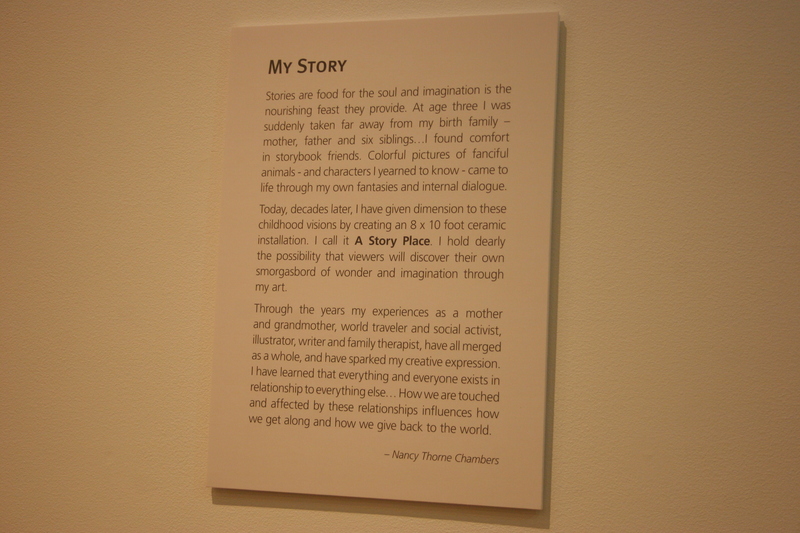 A Story Place remains at Bainbridge Art Museum until June and is worth seeing if you are visiting Bainbridge Island with children. Entry to the museum is free of charge so visiting this installation alone is worthwhile. The children were equally compelled by the adult exhibits. It’s easy to assume that children will find art galleries boring but their fascinated faces reminded me that children often find pleasure in unexpected places. 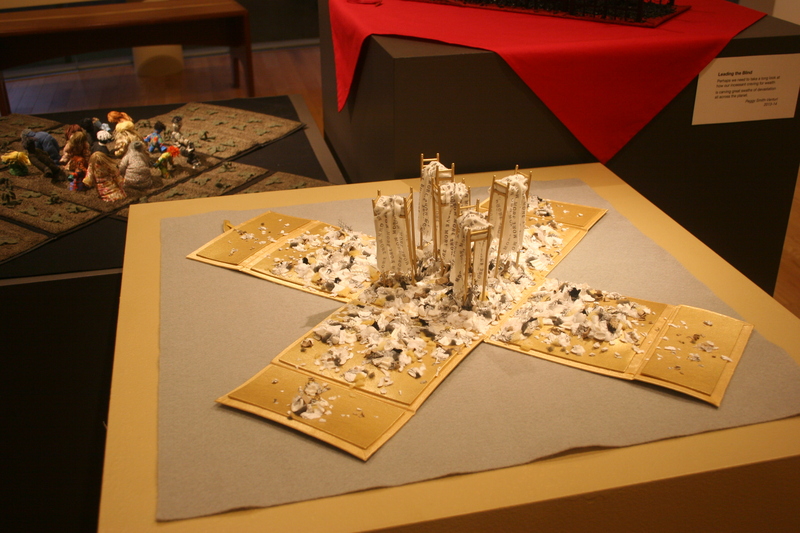 They were mesmerised by models that fold into boxes by Nancy Smith-Venturi and wouldn’t leave until they had seen the slide show of the whole collection. 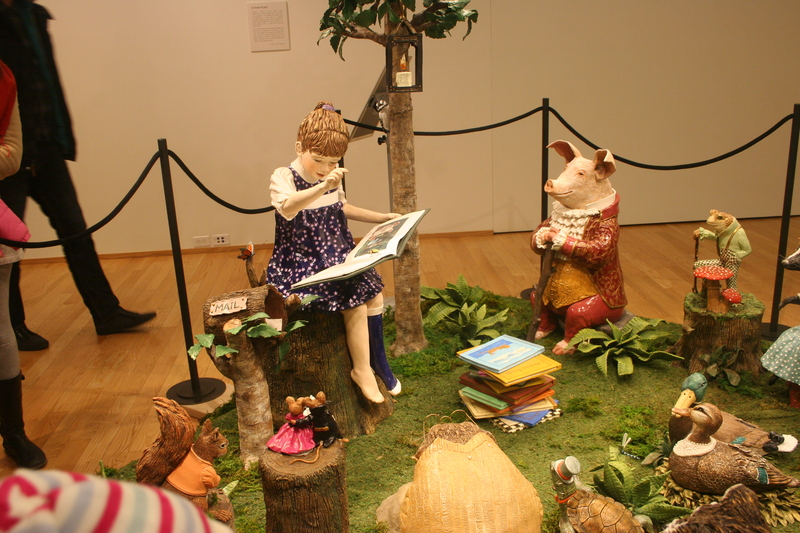 The younger children wanted to understand each of the models and read the descriptions with interest. ‘What does this one say?’ asked my youngest pointing to a textile on the wall. I read the description. ‘How does it look like wind?’ she asked. ‘It could be because it moves’ I replied ‘ but you might see something different, you don’t have to see the same thing as the artist. The girls were completely absorbed by the museum and we spent a leisurely few hours there. I think we may have discovered a new passion. * Children aged 5,7 and 11. Previous Post5 Picture Books to Inspire Children’s Art ProjectsNext PostWhat Toys Should I Provide for Babies and Toddlers?